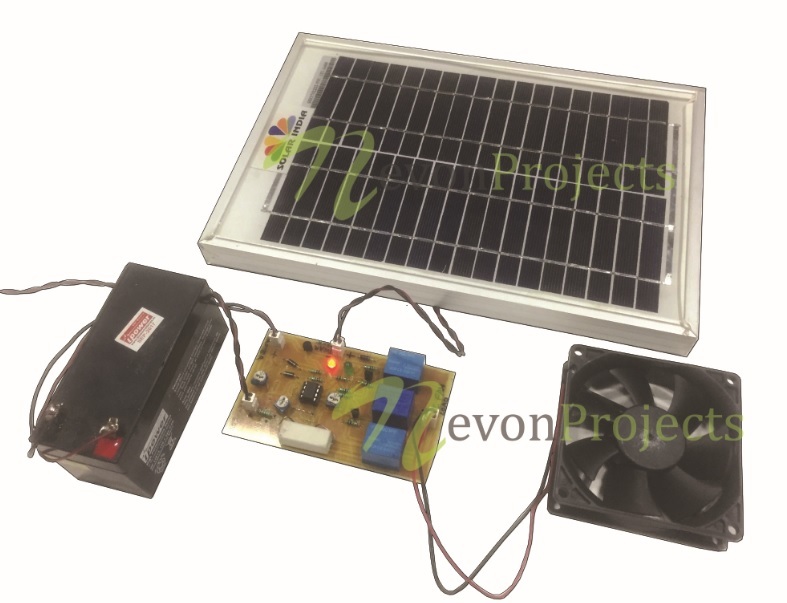 The project allows for battery charging system from a solar panel. With the help of the solar panel the solar energy is converted into electrical energy through photo-voltaic cells. The system is beneficial for storing the energy for night time use. The project even controls the charging mechanism i.e. when the battery gets overcharged or undercharged. 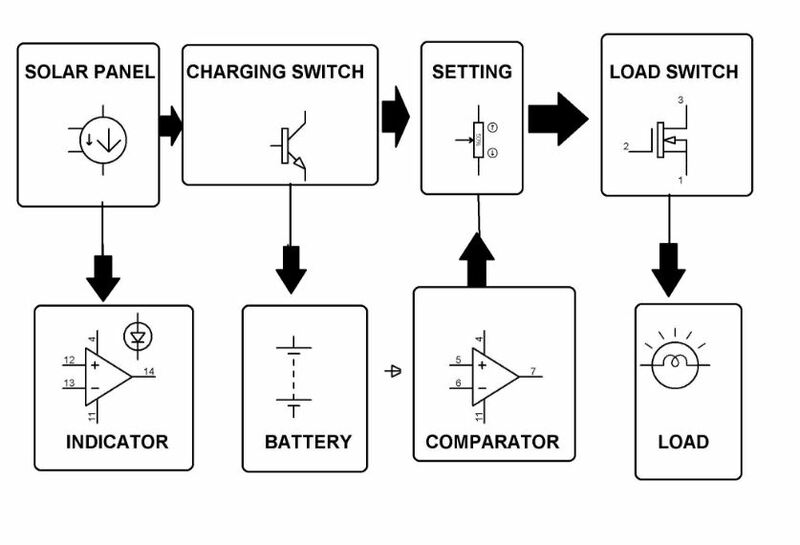 It requires a set of op-amps that constantly monitors the parameters like panel voltage, load current etc. When the battery is fully charged a green LED is switched on and when the battery is over charged or undercharged a red LED glows. 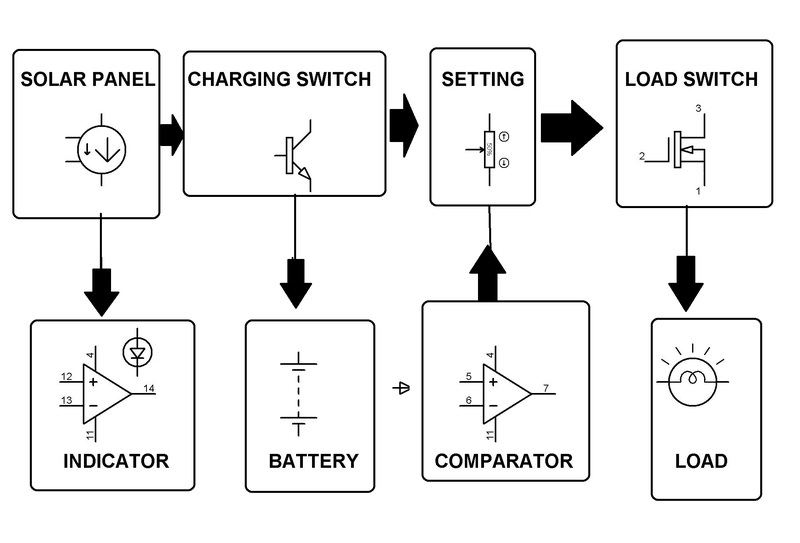 MOSFET is used to cut off the load when it gets overcharged or is undercharged whereas a transistor is used to switch the load to another dummy one when it is fully charged thereby protecting it from being damaged.